Aerial photography has always been a great tool. The moving camera is a big part of dramatic storytelling, and aerial photography lets us move the camera in wonderful, dynamic, and unexpected ways. Previously, this was only possible via helicopters — expensive, loud, time intensive, and occasionally dangerous. Drones provide exponentially more maneuverability, while dramatically reducing the impact on the shooting area and the budget. Drones can get lower and closer than helicopters, allowing us to capture images we’d never dreamed of previously. 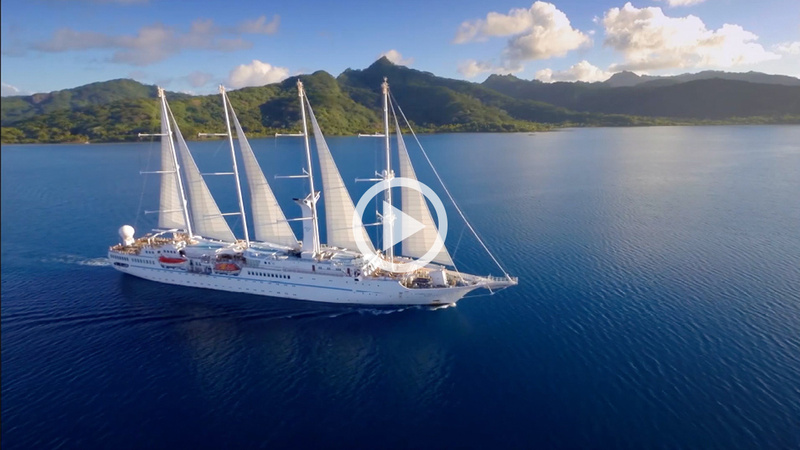 Recently, Hey shot footage for Windstar Cruises in Tahiti using drones. The camera recorded the models on the ship deck before transitioning directly into a sweeping shot of the ship in a private harbor with guests aboard. Helicopters could never do this quietly and safely in a single shot. While the convenience and affordability of drones are desirable, there are some things to consider before shooting with a drone. Often, it is difficult to monitor the images you are capturing, which makes basic drone photography best suited for landscapes and places where your subject is stationary and repeatable. Depending on the platform utilized, you may be restricted to a small screen with limited playback options. Additionally, it is important to use an operator with a proven track record since you won’t see the images until after the shoot. With limited crew support necessary, a good drone pilot can be flexible and capture many images in only a few hours. Another thing to consider is the growing privacy concern from the public. Although curious about the drones overhead, some people will also be uncomfortable. To prevent negative reactions, be prepared to address concerns, and only photograph people with their permission. People will often accept drones if we show them our tools and explain why drones are being used. We had a few easy-going guests with questions on our Windstar shoot; when we showed them some footage selects, they were excited to see the finished product. Drones create the opportunity for incredible images at a fraction of the cost. Our Tahiti shoot for Windstar is the perfect example of gathering beautiful images for a low price, while avoiding the hassles of using a helicopter. If your company needs amazing footage on a small budget, shoot us an email at contactus@hey.us.com.